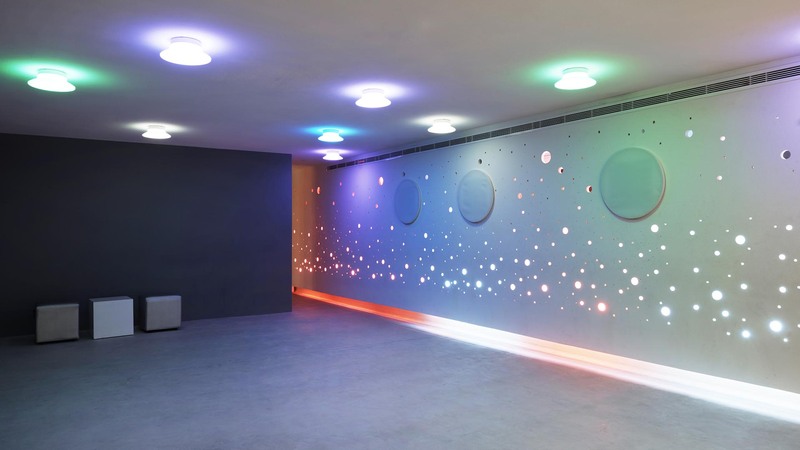 In a lengthways distribution of industrial and neutral character, certain oversized elements are incorporated in order to create a contrast between the polished concrete surfaces and flood the space with atmospheric light. 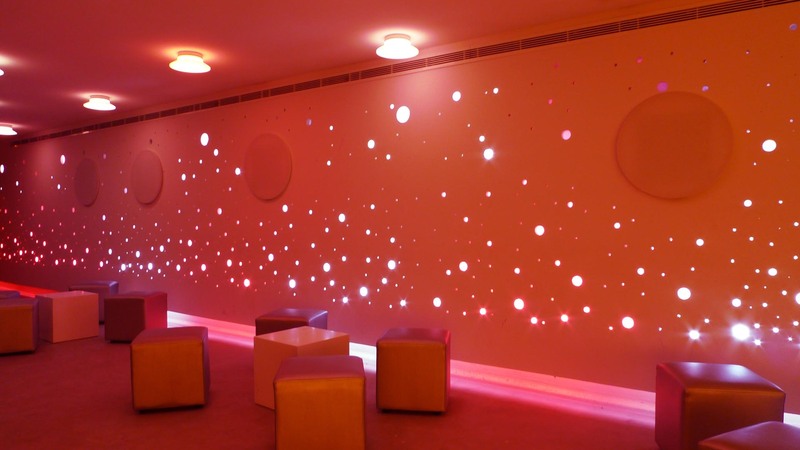 On one side, the double white wall which was bored into right along its length in order to lay all the air conditioning, lighting systems and loud speakers and, as a result, becomes a huge decorative element radiating light and sound. 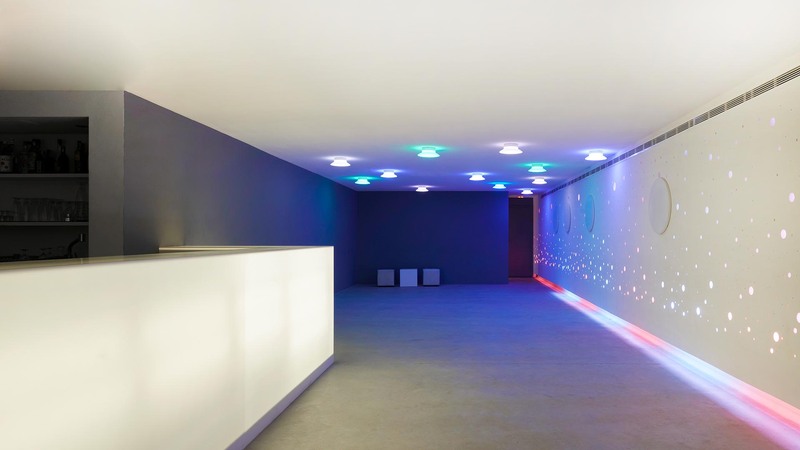 On the other side, there is a continuous backlit bar made from synthetic material, offering great resistance and strength. 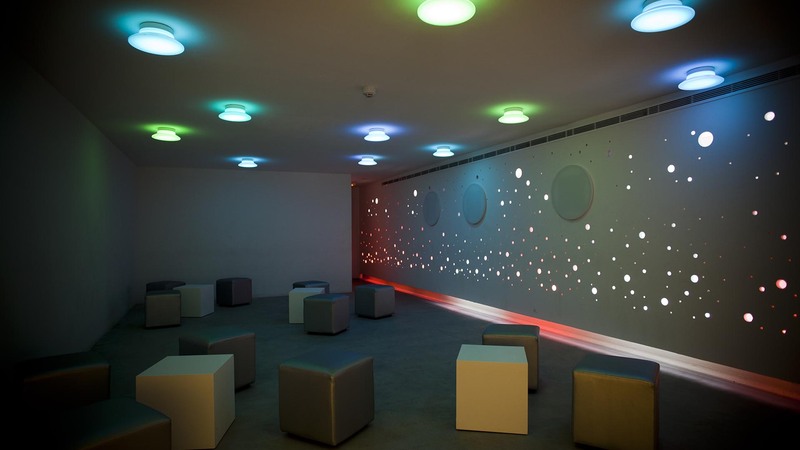 The dynamic lighting, which changes according to the rhythm of the music, is achieved by the random placing of twelve lighting fixtures over the dance floor. 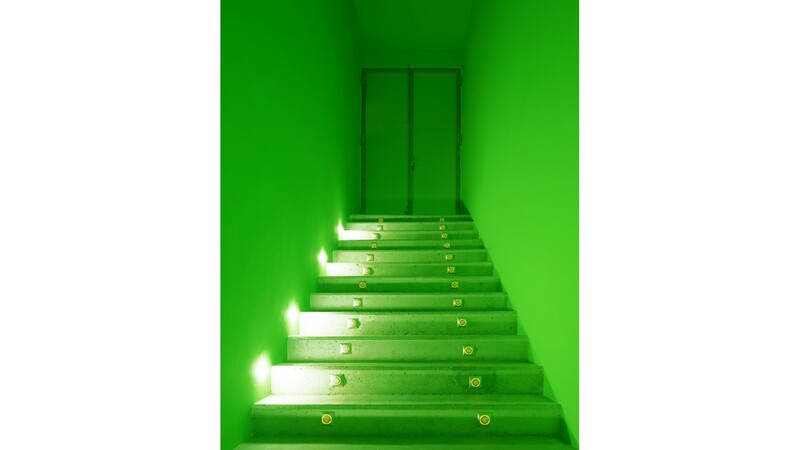 On the entry stairs, a potent green colour is used to mark the transition from the garden to the underground industrial space of the discotheque bar.